4 cyl. 2279cc. OHC. 108bhp. Moulded glass fibre body with steel doors. Front independent, live rear with coil springs. Owned by my brother in law for many years. 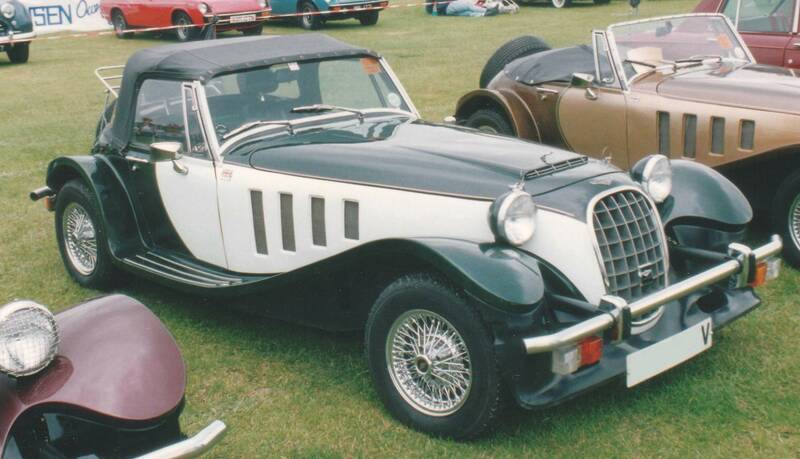 Based on Vauxhall running gear with the Magnum engine. As the sales brochure says - "The Panther is a rebellion against the boredom of motoring today, the Lima recreates the exhilaration of the open road."